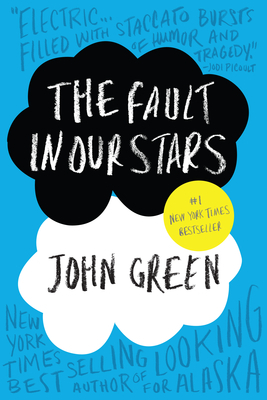 Today, I have a review of John Green‘s The Fault in Our Stars for you. A book I’ve been dying to read for quite a while now. I got it as a Halloween present from Wolfgang 🙂 Thanks again. Despite the tumor-shrinking medical miracle that has bought her a few years, Hazel has never been anything but terminal, her final chapter inscribed upon diagnosis. But when a gorgeous plot twist named Augustus Waters suddenly appears at Cancer Kid Support Group, Hazels story is about to be completely rewritten. The Fault in Our Stars is mainly set in present-day Indianapolis. While most of the time, the setting doesn’t seem to be that important, there is one scene, a dinner scene, that is breathtakingly beautiful. The main characters in The Fault in Our Stars are Hazel and Augustus. Both are teenagers. We follow the story from Hazel’s perspective. With this book, the characters’ believability is my main problem. Of course Hazel and Augustus might be more grown up than other people their age. But still, they act, talk and think like adults and they do this all the time. Both Hazel and Augustus (especially Augustus) aren’t believable in their roles as teenagers. At least for me. I did like the plot though. I needed a little time to get going, but I enjoyed what I read, even if it was predictable. I’d really like to know what a whole classroom of teenagers would think of The Fault in Our Stars. If they don’t have a problem with the characters’ believability, then I’d recommend this book to teenagers, or adults who really don’t mind as the central topics of friendship and illness are important. However, I think that The Fault in Our Stars might be a bit overhyped.